The chairman of Bulgaria's Football Union (BFU), Borislav Mihaylov (pictured), said on Thursday he was confident of naming a new manager for the country's national team by mid-December. 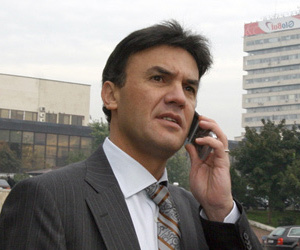 File photo by Sofia Photo Agency. The chairman of Bulgaria's Football Union (BFU), Borislav Mihaylov, said on Thursday he was confident of naming a new manager for the country's national team by mid-December. Bulgaria has missed on participating in a second major tournament in a row, finishing third in its qualifying group for next year's European Championship in Austria and Switzerland. Facing a dearth of local candidates for the job, BFU will look to appoint a foreign manager for the first time in its history. Manager Dimitar Penev, who was brought in for the tail end of the campaign, has not hidden his interest in continuing to manage the team, but has refused to pressure the BFU executives into clarifying his future. Stanimir Stoilov, who served as a caretaker manager for two matches in June following the abrupt departure of Hristo Stoichkov, has ruled himself out the running, choosing to stay at Levski Sofia, despite Mihaylov's attempts to recruit him. Several names have been bandied about as possible appointments, including Lothar Matthaeus, Bertie Vogts and Winnie Schaefer, although BFU is unlikely to be able to meet their wage demands. Slovenian Srecko Katanec and Croat Zlatko Kranjcar are now considered the front-runners for the job.